Just north of Kathmandu is the striking Langtang Valley. There are fewer trekkers here than at the Everest or Annapurna circuits, which is everyone else’s loss. This easily accessible Langtang and Gosainkind Lake trekking adventure is a great low key way to see a gorgeous part of Nepal. You’ll see the glaciers that lie below Langtang Lirung, the summit of Kyanjin Ri, and the most incredible panoramas you’ve ever seen. 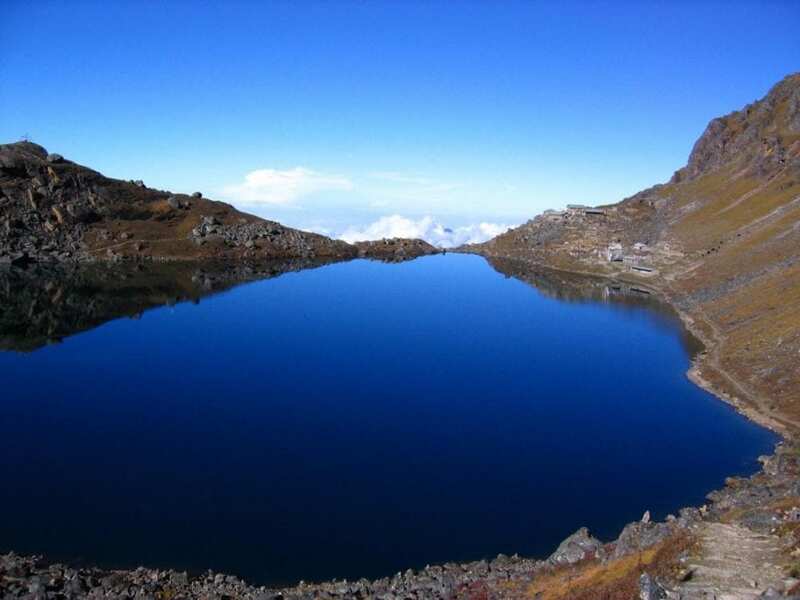 Lake Gosainkind is an important pilgrimage site for the Nepalis. Parts of the village and lake area were devastated in the 2015 earthquake but the lodges used by trekkers have been repaired and the spirit of resiliency is alive and well. Because of this, the original circuit has shifted slightly. It now has better access to the lodges and forms more of a circuit than it once did. You’ll stay in lodges, or tea houses, along the route and each day you can expect a gradual ascent over ten days of walking. The max altitude is 4984 metres. For those who have climbed or trekked before, you’ll find this a superb trek through the middle hills above Kathmandu to the top of the unbelievable Langtang Valley.